For Lent this year, our family devotional is centered around holy people… people that used their lives for others, people that inspire us to be more. 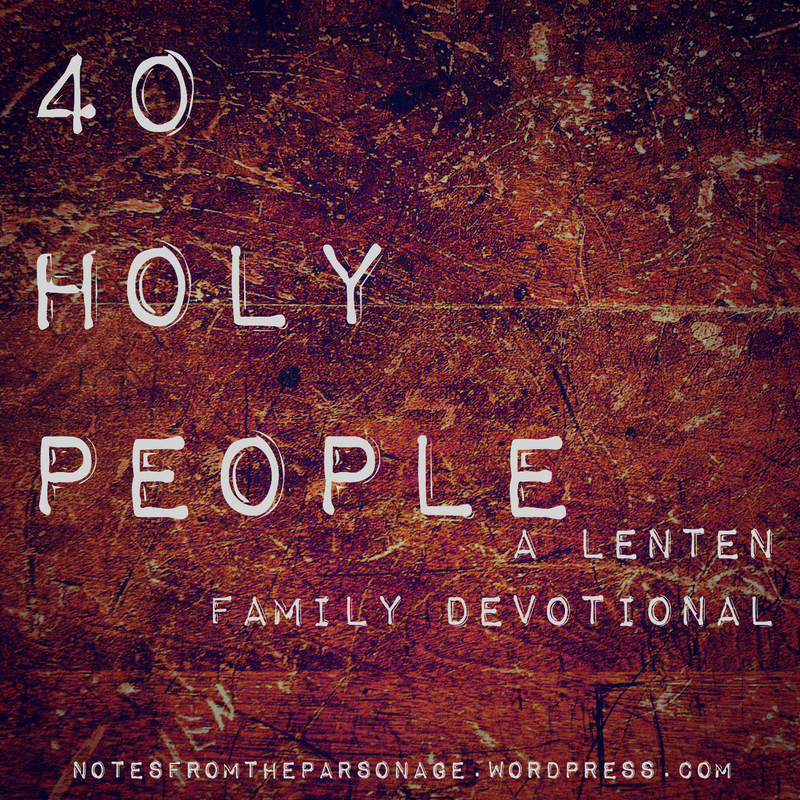 Since there are 40 days in Lent (not counting Sundays), we’re looking at 40 Holy People. Some are Saints, some are missionaries, some are evangelists– all are examples of what we can do in Christ. I’m praying that the lives of these 40 individuals inspire my children (and honestly, myself) to get out of our comfort zones and do something for God, to deepen our faith, and to press us toward holiness. Links will be updated throughout Lent.